Letting your feet breathe after a long winter filled with wool socks and boots is one of spring’s sweetest gifts and a new pair of charming ballet flats are a great first step to letting those feet loose! They are cute, comfortable, and go with almost anything. Check out our 14 favorite eco-friendly (and mostly vegan!) flats and treat yourself to a guilt-free ‘spring is here’ present! 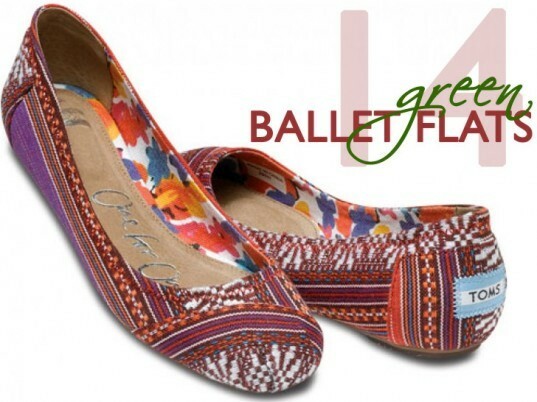 Letting your feet breathe after a long winter filled with wool socks and boots is one of spring's sweetest gifts and a new pair of charming ballet flats are a great first step to letting those feet loose! They are cute, comfortable, and go with almost anything. Check out our 14 favorite eco-friendly (and mostly vegan!) flats and treat yourself to a guilt-free 'spring is here' present!